Ten of Bristol’s best chefs and members of the Bristol food scene are collaborating to raise support for local charity FareShare South West, as the organisation launch their Big Breakfast Week, a school-based campaign, which is part of their bid to tackle the city-wide issue of child hunger. 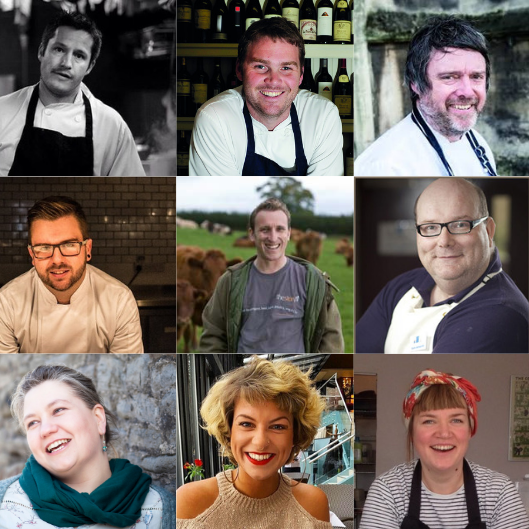 Top chefs, including Michelin-starred Josh Eggleton of the Pony and Trap, Adrian Kirikmaa, Toby Gritten and Luke Hawkins will come together at a fundraiser breakfast on Monday 12th November, along with business leaders in the city, to support the launch of the charity’s Big Breakfast Week. The week aims to raise awareness of the need for additional food provision in schools where children are regularly arriving hungry, undernourished and unable to learn. The fundraiser breakfast is just the beginning of activities, as chefs will then go out into the city throughout the week to run smoothie making workshops at FareShare Breakfast Clubs in schools in some of the most deprived areas of Bristol. According to a report by the 5K Partnership, one in four Bristol children are at risk of hunger. In response to this, the region’s largest food charity FareShare South West now provides food to 20 primary schools in Bristol’s most deprived areas, in addition to extra provision over the holidays. The charity delivers food for Breakfast Clubs, emergency food parcels for struggling parents and more, providing an invaluable resource for 1,500 Bristol children every school day and 2,000 children over the summer holidays. The charity has launched its Big Breakfast appeal to the Bristol public in the hope of raising awareness and in the hope of receiving further donations to support food distribution to schools.